DAVID LE/Staff photo. 2/25/15. 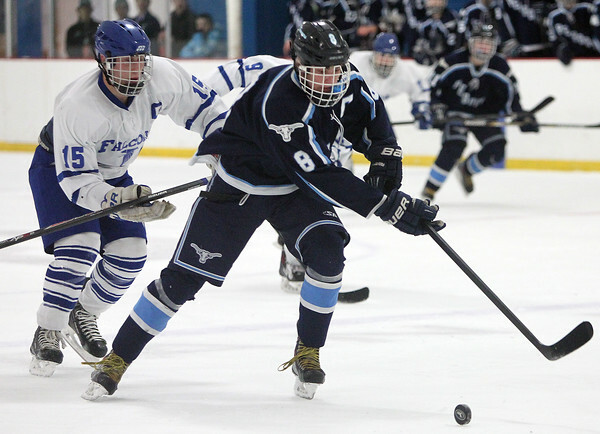 Peabody senior captain Reed Foster (8) tries to corral the puck in the Tanners' offensive zone while being chased down by Danvers senior captain Stephen Ganley (15).